LTE routers with connections for an external mobile antenna are plentiful. An external antenna with the LTE router may have advantages, but a long cable between the antenna and the router can cause poor data rates. 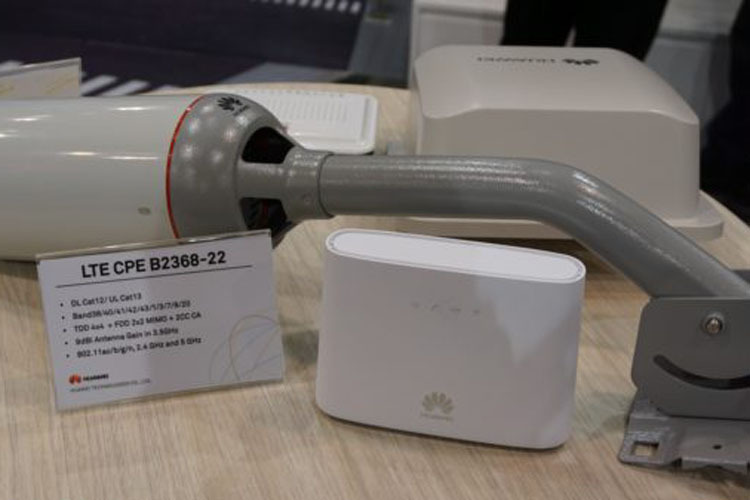 Huawei has now shown an interesting device Huawei B2368 LTE router-modem combination, which should solve this problem. The LTE modem is located directly in the external antenna and is accordingly mounted outdoors. The router with WLAN, RJ45 Ethernet LAN connections and telephone connection, however, is positioned in the house at a convenient location. The power supply of the modem is regulated via Power over Ethernet (PoE). Theoretically, the combination is also ideally suited for the next generation of mobile communications 5G. The advantage of the separation of router and modem is obvious: the modem and antenna can be positioned in a place outside with very good wireless reception, the router with WLAN function, however, ideally positioned in the house so that all devices got a good internet connection. A separate power supply from the antenna and modem is not necessary; it is only a LAN cable between the two devices to be laid. Even a complicated alignment of the antenna is not necessary, because it is not a directional antenna. Operation without direct line of sight to the transmitting mast is possible. The modem of the Huawei B2368 allows speeds of up to 600 Mbit/s in the downlink and up to 150 Mbit/s in the uplink – depending on the network technology used and the network expansion of the mobile service provider used. In addition to the FDD LTE, which is primarily used in Europe, TDD LTE is also supported. The B2368 may use the frequency bands 38, 40, 41, 42, 43, 1, 3, 7, 8 and 20. The integrated WLAN module operates both in the frequency range around 2.4 GHz and 5 GHz, a telephone function is also available. According to Huawei, it is also conceivable that there will be a later 5G capable version. Here, the design would be quite useful, because the frequency range around 3.5 GHz, which is to be used at the beginning for 5G , penetrates even worse in buildings than the previously used at LTE frequency bands. The data rates should be much higher with the B2368 modem-router combination than with a router that is hidden behind several building walls. 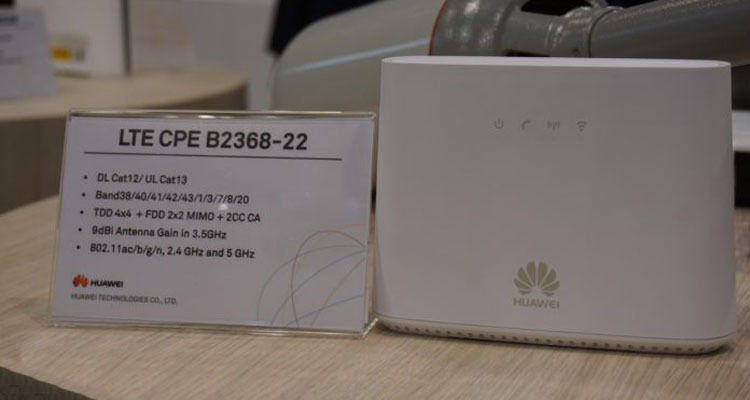 According to Huawei, the B2368 LTE CPE is not yet available and a market launch is not planned for the time being. At the 2017 Global Mobile Broadband Forum in London, particular mention was made of Eastern Europe as an interesting market for the Huawei B2368.